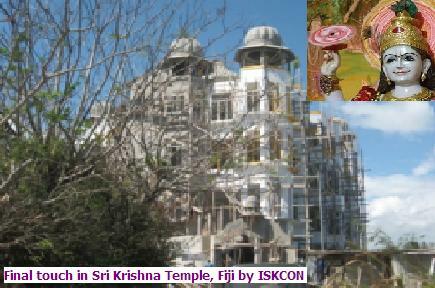 The Hare Krishna Movement in Fiji has invested $4.7 million in the country by building its temple in Sigatoka town. Spokesperson for the Movement Dr Rajesh Maharaj said construction works of the Shri Radha Damodar temple started three years ago and work is still underway. However, he said the decision to have the opening this weekend is due to this auspicious month in the Movement’s calendar. He said the initiative to have the temple constructed came from two female members of the Hare Krishna Movement and this act is the first of its kind in the Movement’s history. He said the temple will cater for the homeless and elderly too. The Hare Krishna temple opening will take place today with various prayers and installation of statues.